It is our life of worship that strengthens us to do all of the other wonderful things to which we are called. 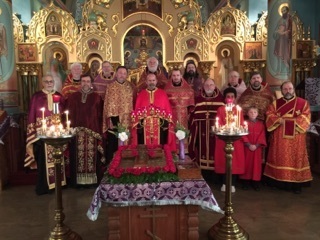 Orthodox Christian worship is universal around the world, and at the same time unique in each local community. Any Orthodox Christian church will still use forms of worship that were practiced in the first centuries. Our worship is based to a great extent on passages from Scripture. We sing most of the service, joining our voices in simple harmony to ancient melodies. Our worship is focused on God, not on our own en­joyment, fulfillment, or fellowship. We come into the presence of God with awe, aware of our fallenness and His great mercy. We seek forgiveness and rejoice in the great gift of salvation so freely given. 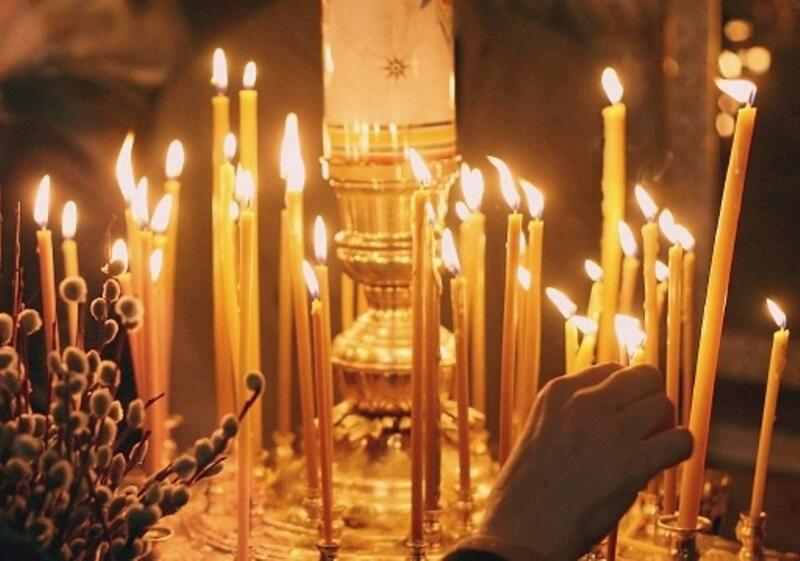 Orthodox Christian worship is filled with repentance, gratitude, and unend­ing praise. A common misconception is that awe-filled, beauti­ful worship must be rigid, formal, and cold. Orthodox Christian worship shatters that stereotype. The liturgy is not a performance, but an opportunity to come together as a family of faith before our beloved Father. True Orthodox Christian worship is comfortable, warm, and joyful. It could be nothing less in His heavenly presence. The services at St. Vladimir Orthodox Christian Church are conducted almost entirely in English and derive from the Russian tradition, in which music is primarily composed as four-part harmony. Being a culturally diverse community, we do also integrate Orthodox Christian traditions from Byzantine, Arab and other flavors in various aspects of our worship. If you are not an Orthodox Christian, but interested in the worship, a recommended service for you to attend is Vespers, held every Saturday evening and lasting about 45 minutes. It is one of many types of services we offer (all of which you are welcome to attend), and is most likely to give you an opportunity to have your questions asked and answered. There are a great many aspects of which any could be discussed at length, describing the “how’s” and “whys” of our worship. Suffice it to say, our parish family rejoices in spending time with the Lord. You are invited to come and share in our joy! While we do not look to exclude anybody from entering the church based on their attire, please be mindful that the church building is the House of God and within people are trying to pray. The attire worn to church is one small way by which we can help one another to focus, rather than be distracted. As general guidelines we ask you to refrain from wearing shorts, low-cut shirts or otherwise “revealing” or “loud” clothing when in or around the church grounds. Slacks, buttoned shirts, skirts below the knee, and shirts which cover the shoulders are always appropriate and appreciated. We deeply appreciate the respect you extend with these matters and look forward to you joining us! *Please view the Services Calendar for our worship schedule located at the bottom of our Home Page.